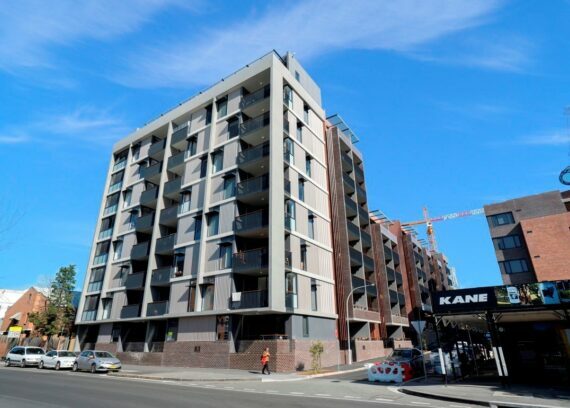 In November 2017, Kane Constructions was awarded the $35 million Design & Construct contract to deliver the City West Affordable Housing Glebe development. 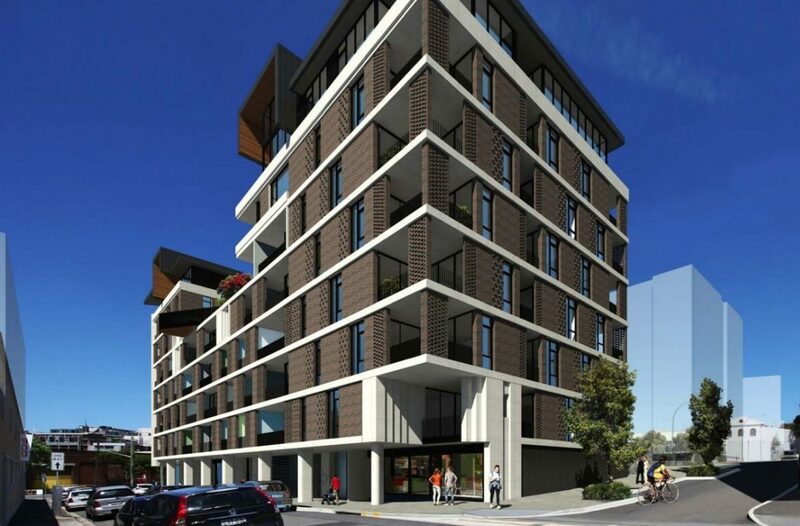 The project comprises of 99 apartments with a mix of one, two and three bedroom units, as well as basement parking and several commercial tenancies on the ground floor. Two landscaped roof gardens will be provided for all residents of the building. 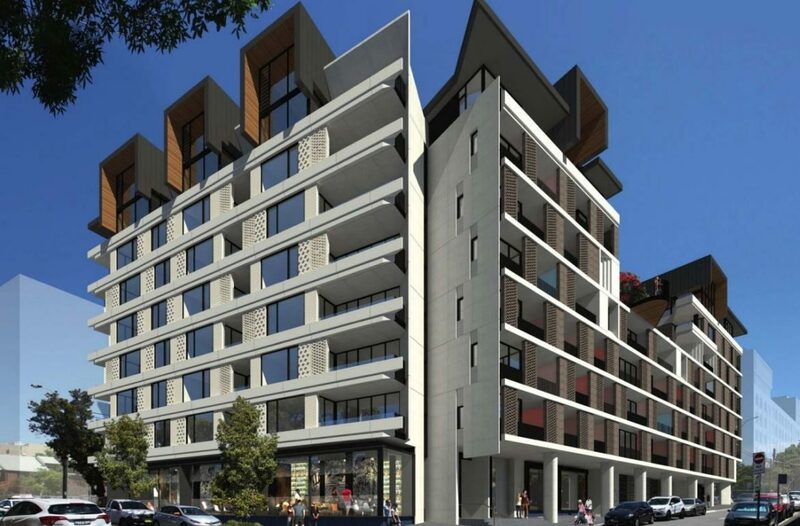 Designed by Turner Architects, the project incorporates industrial design elements synonymous with the traditional warehouse buildings located in the surrounding Glebe and Ultimo precinct. 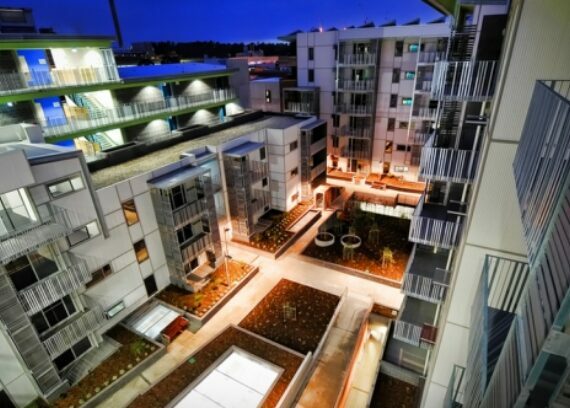 Key design elements include intricate masonry façades, steel balustrades, off-form concrete finishes, class 2 precast panels, and polished concrete foyers. Apartment interiors consist of bespoke joinery, black light fixtures and fittings, floor to ceiling windows together with a monochromatic colour palette which compliments the urban design within. This project will reach Practical Completion at the end of 2019.